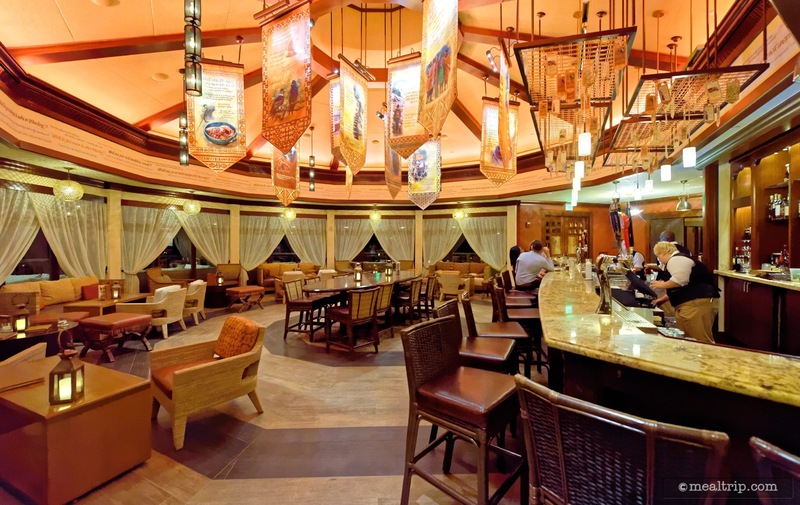 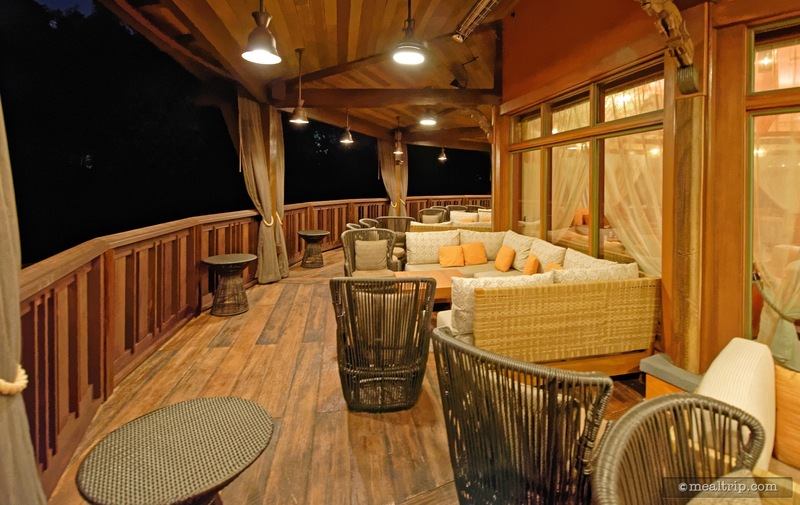 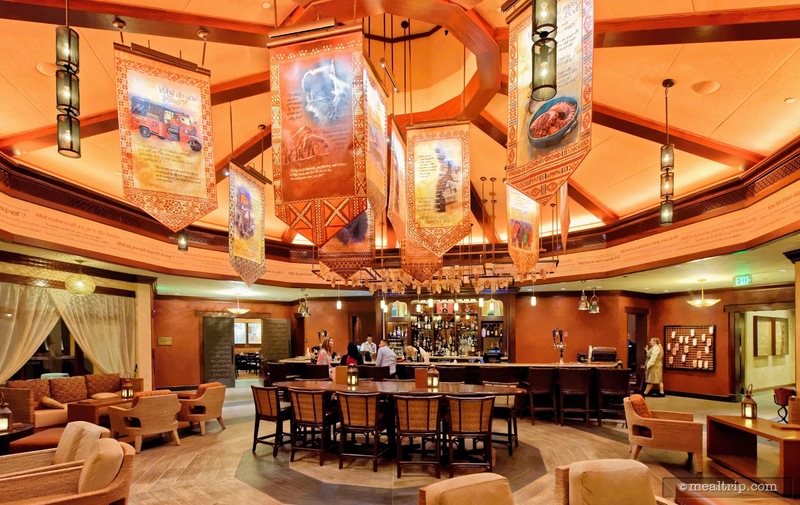 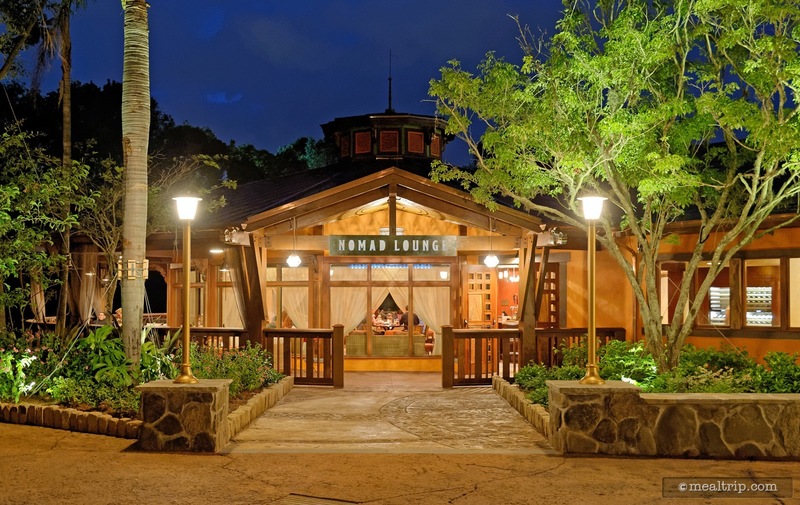 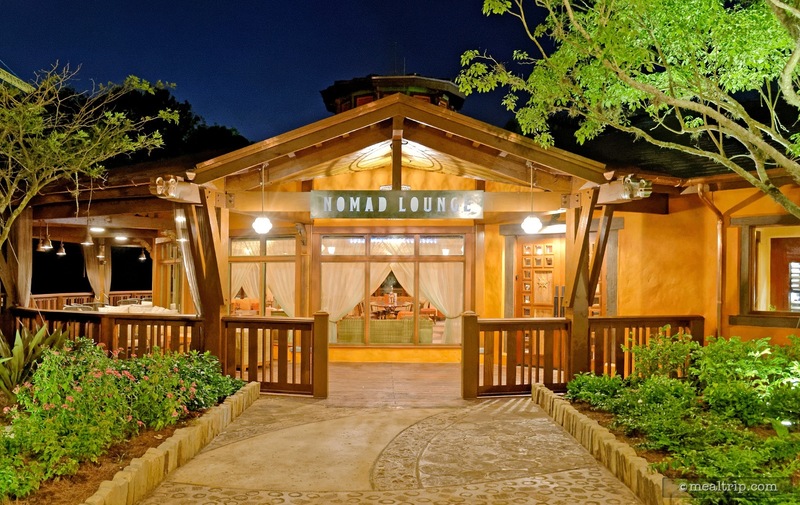 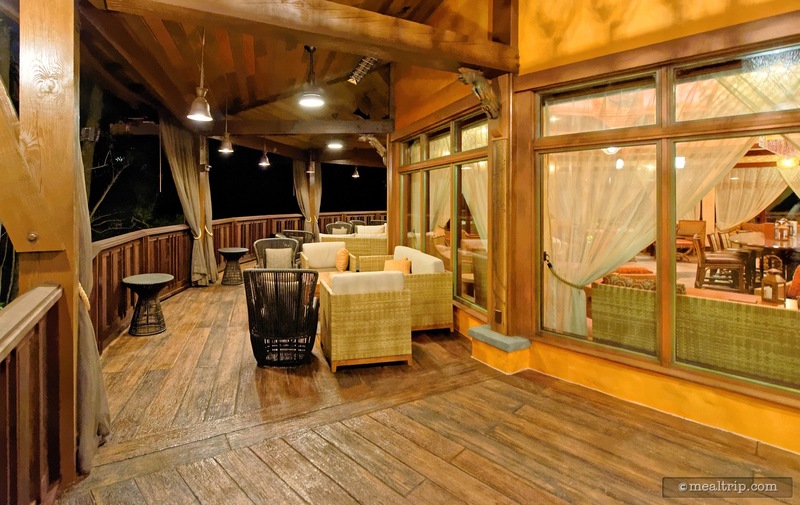 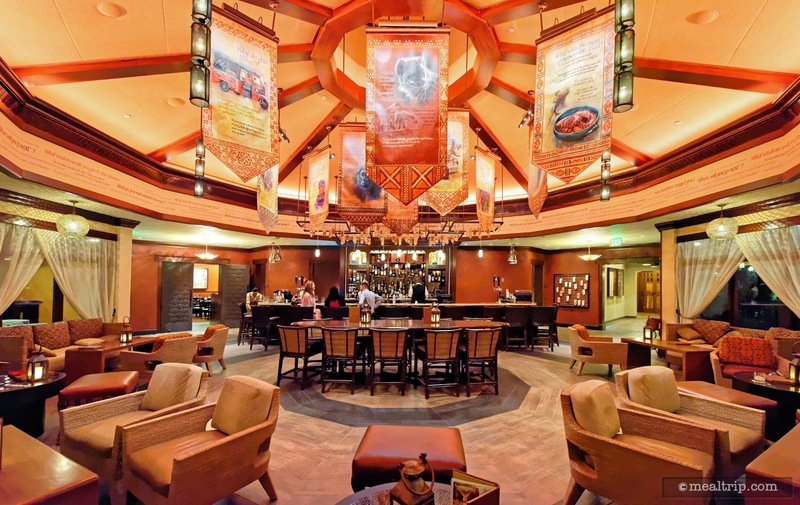 The Nomad Lounge is attached to, and located right in the middle of the Tiffins restaurant in Animal Kingdom. 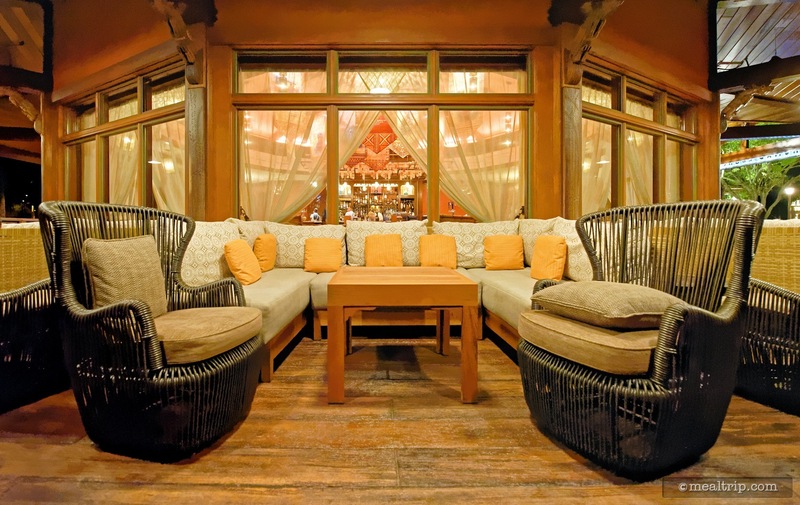 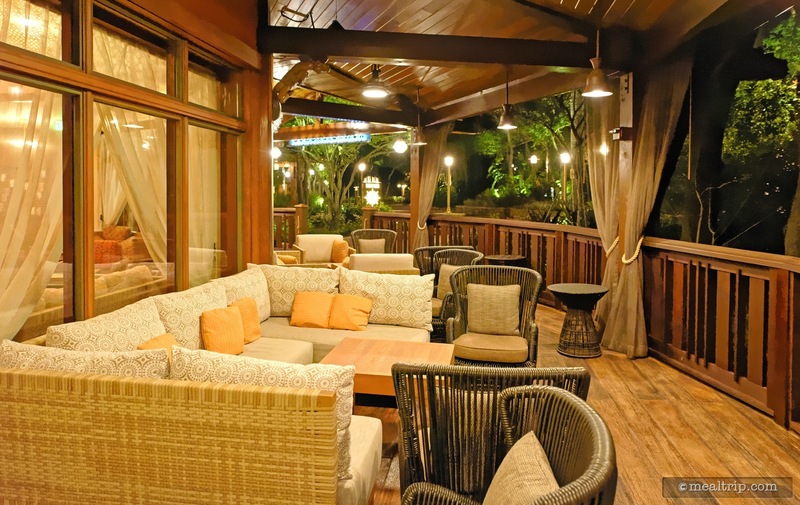 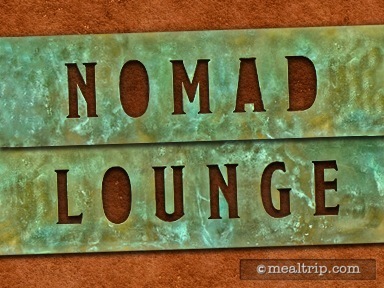 Nomad is the only true "sit down" lounge in the park offering not only indoor (air conditioned) seating, but covered patio style seating as well. 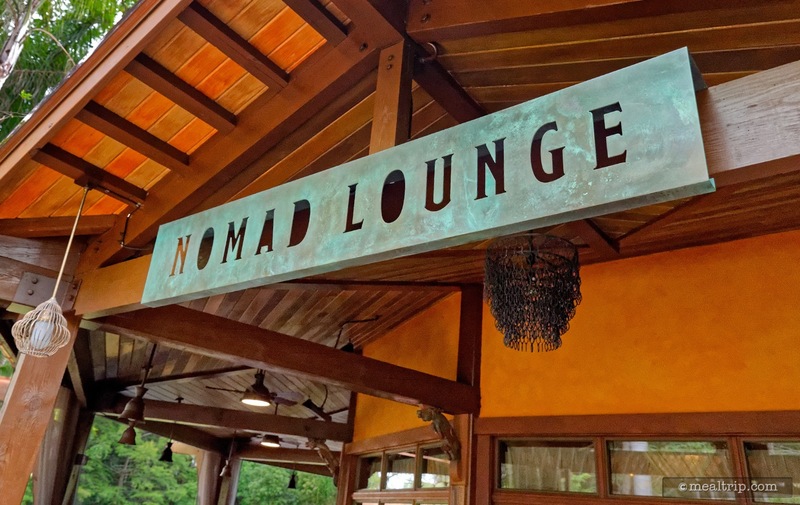 In addition to unique cocktails, wines, and "brewed just for the lounge" beers that can only be found at the Nomad Lounge... a small plates menu offers unique savory "World Cuisine" themed dishes, and a few dessert items as well. 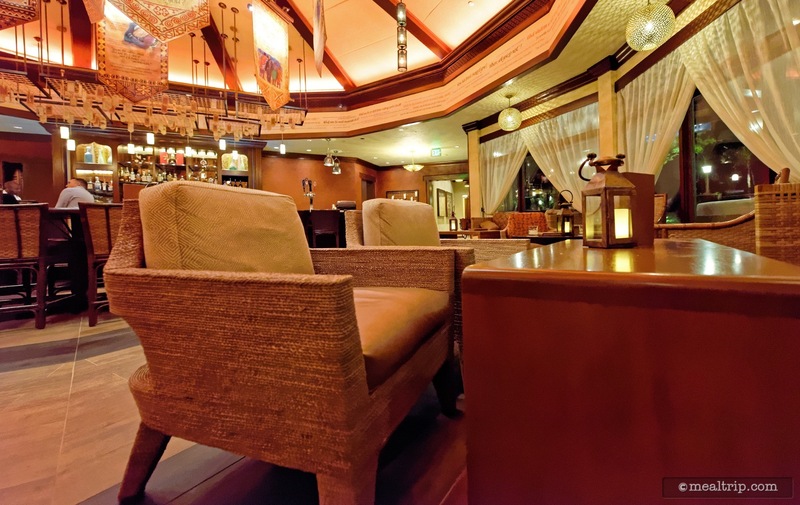 A few "adult specialty blended" coffees and an exclusive loose leaf tea selection are also featured predominantly on the beverage menu.